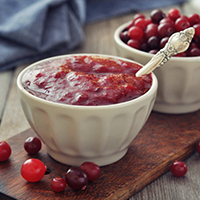 Add a swatch of color to your table with this festive and easy to make sauce. In food processor, process 3 cups cranberries. Combine cranberries, honey, lemon rind, and nutmeg.